How can I save shifts to my calendar? 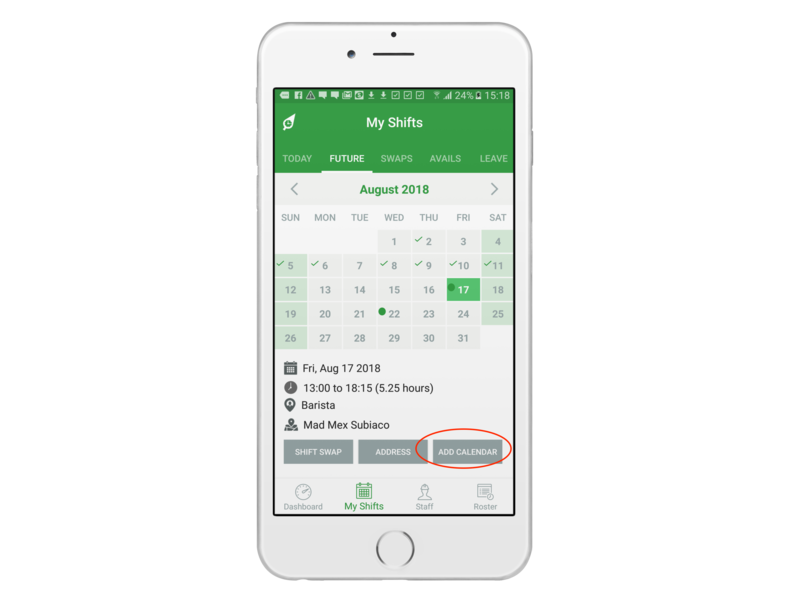 Although RosterElf's "My Shifts" section is a great way to see all you future shifts, if you want to keep your work and personal schedule on the one calendar, you can sync all your shifts on RosterElf directly to your smartphone calendar. Simply got to the "My Shifts" section of the app, then click "Add Calendar". 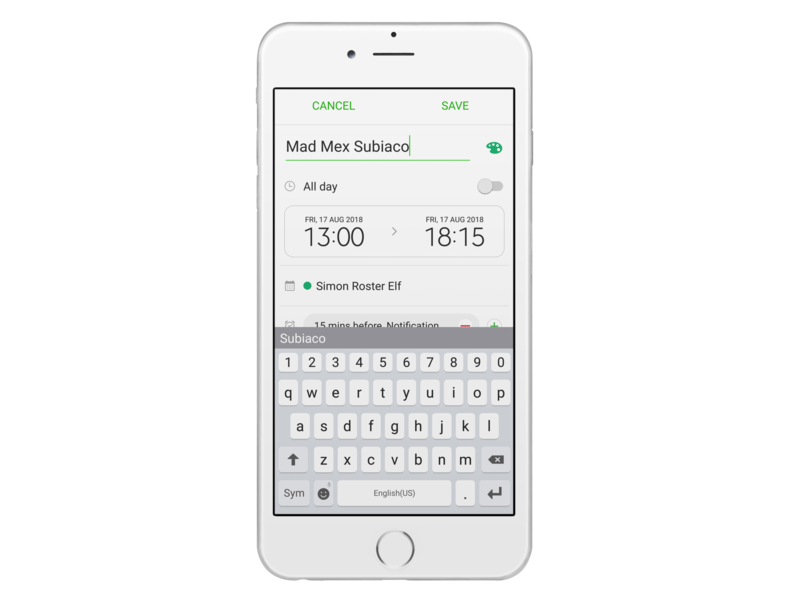 The shift will automatically appear in your default smartphone calendar. Simply save it!